Economists generally agree that entrepreneurial activities influence a country’s economic performance by bringing new products, methods, and production processes to the market and by boosting productivity and competition more broadly. ImpactBiz Jax is an event organized by local entrepreneurs specically aimed at supporting small businesses by providing education, exposure and grants through pitch contests and giveaways. ImpactBiz JAx (IBJ) held its second event earlier this month at the Beaver Street Enterprise Center located near downtown. According to organizers, registration for the event, pitch contests and vending were initiated sixty days prior to the event and quickly reached capacity. Soloprenuer winner was Andrea Boyd of Our Hearts Matter received $1k grant. 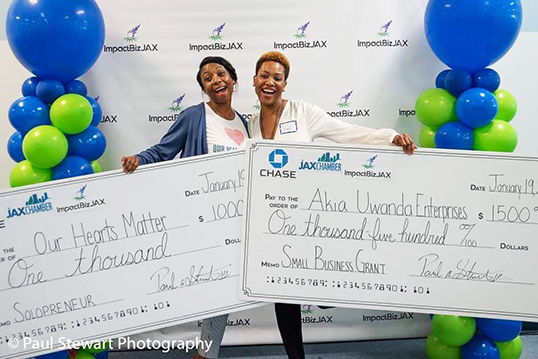 The grand prize “Emerging Business” winner was Akia Daniels of Akia Uwanda Enterprises who received a $1,500 grant and 13 week ad in the Jacksonville Free Press. Michelle Innis of the The Sweet Spot and Urban Lounge was the runner up and also received $1500.00. ImpactBiz JAx (IBJ) serves as a resource for Small Business owners and Entrepreneurs to network, build a stronger foundation, exposure to business education, local programs and organizations. 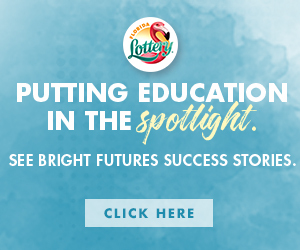 Some of the organizations are Jax Chamber, JaxBridges, Score, SBA, and the SBDC at UNF, which are all free local resources that can aid in creating a blueprint for success.